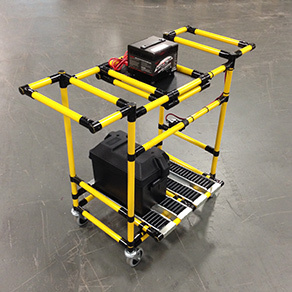 All Creform AGVs are environmentally friendly because they operate on either 12V or 24V battery power. 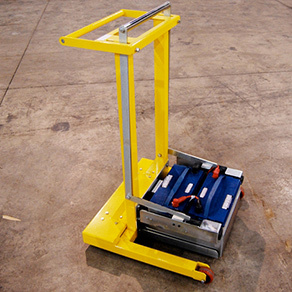 The Creform System focuses on good ergonomics and Creform AGVs are designed to minimize battery handling. 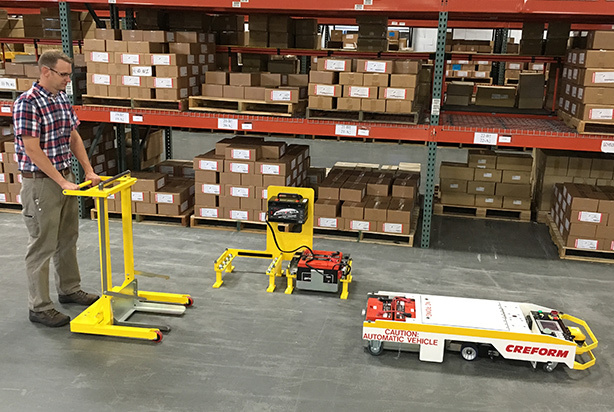 AGVs with bolt-on drives are generally designed with battery trays on roll-off conveyors minimizing battery handling and lifting. 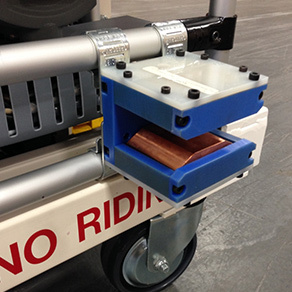 BST undercarriage style AGVs all have battery compartments with trays that can be rolled off on to special battery carts that are easily transported to charging stations. There are two basic battery types available. 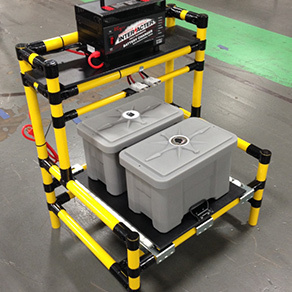 AGM lead-acid batteries for conventional charging methods and TPPL batteries for the high amperage charging associated with opportunity charging. These are no-leak in the unlikely event of a cracked battery case. 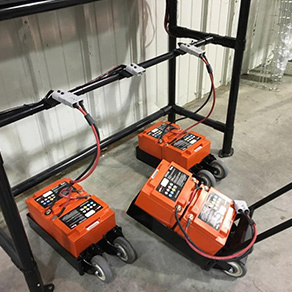 Both battery types utilize spark-proof connections for wiring safety. 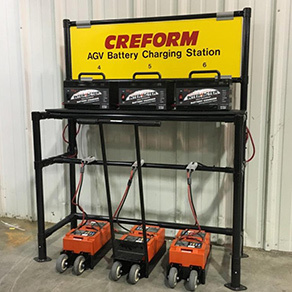 Creform also offers three methods of battery charging, all designed to maintain uninterrupted AGV operations during active shifts. 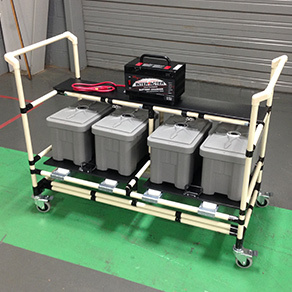 These are conventional battery charging, opportunity charging and automatic battery charging stations all designed to keep AGV fleets running during production hours no matter what those may be.